Circle of Dust is an industrial rock project of Klayton’s, known widely for his work in Celldweller. Circle of Dust started in the early nineties and turned a lot of heads. He disbanded the project in 1998 and focused his attention on Celldweller. Now, almost twenty years later, Klayton resurrected Circle of Dust and Machines of Our Disgrace was born. The album opens with the short intro “re_Engage” (most likely referring to the resurgence of Circle of Dust since Disengage was the last release in 1998). The title track hits hard and fast with the guitar-driven industrial that Circle of Dust was known for, as opposed to the more electronic-driven Celldweller. The grittier, dirty sounding industrial abounds throughout, making this album a throwback for all Circle of Dust fans. While I am a fan of Celldweller, to hear Circle of Dust again after all these years is tear-jerking. Within 24 hours of its release I cannot tell you how many times I listened to the album on my mp3 player at work. I think for at least a half an hour I had “Outside In” on repeat, definitely my favorite song. It’s more of a self-reflection that I could relate to, beautifully written musically and lyrically. It’s slower than the other tracks and has a nicely added acoustic guitar as it climaxes into a prayer for forgiveness. That classic industrial rock sound with guitars in the foreground rather than being drowned out by electronics is masterfully present on this album. There’s a lot of sampling on each track like you’d find in old-school industrial. Klayton drives the songs with his emotions as he sings of the frustration surrounding the direction that mankind has been going. The mixing and mastering is very high-quality, making all of the instrumentation blend well with his vocals. His lyrics have always spoken to me and this album especially since the issues he discusses are similar to the conversations that my friends and I have had just over these past few years. I know a lot of Goths who are fans of industrial (or specifically Celldweller) and you should not be without this album; it is an industrial masterpiece. 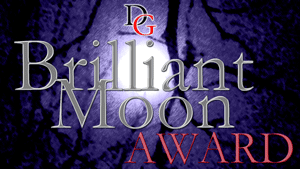 The themes of a pre-apocalyptic world with developing a new breed of humans, being trapped in the darkness and ignorant of it, and the scars that follow should all be appealing to the Gothic listener. 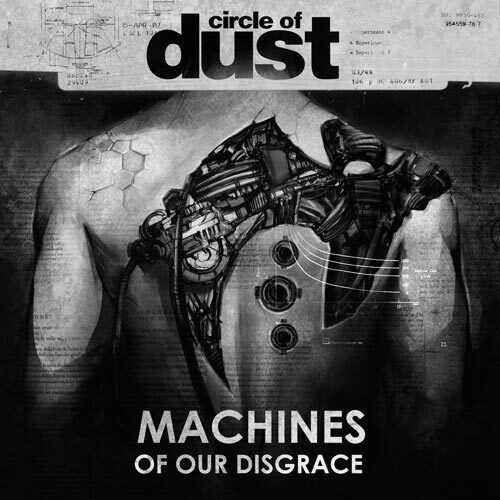 Circle of Dust is back from the dead and Machines of Our Disgrace is the ultimate resurrection experience!